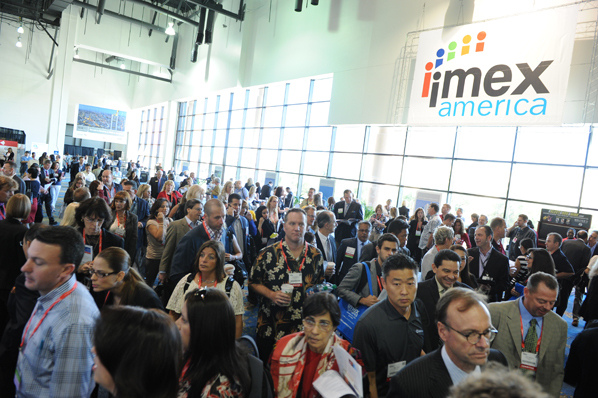 The second edition of IMEX America, the largest trade show in the US for the global meetings, incentive travel and events industry, has opened by announcing significant increases across a range of key measures. The show, which launched last October, is 28 per cent larger than its inaugural edition. This year it features 77 new booths and showcases 2,413 exhibiting companies. When doors opened at the Sands Expo in Las Vegas, 40 per cent of the show’s original exhibitors had returned with bigger booths. Of these, 30 per cent had more than doubled their booth space in order to attract buyer attention and make their mark. Germany is this year’s single biggest exhibitor, while Californian exhibitors are grouped together on the show floor for maximum visibility and to help interested buyers find all its suppliers in one place. Similarly Hawaiian exhibitors have come together on a single, high-impact booth. In addition, representation from almost every industry and geographic sector has increased at this year’s show. Space taken from exhibitors representing Africa and the Middle East is up by 49 per cent, Asia by 29 per cent, the Caribbean by 61 per cent, Latin America by 50 per cent and European exhibitors are up by 14 per cent - after already having a sizeable presence last year. Increased interest from US exhibitors means this area of the hall has grown by nearly a quarter – 23 per cent. Within the industry supply chain, cruise lines have shown a strong appetite for booth space with representation 33 per cent greater than last year, including a pavilion from the Cruise Lines Association. Technology companies are up by 27 per cent with the result that the show’s Tech Pavilion is full. There has also been a 33 per cent increase in private sector companies exhibiting, including the Incentive Marketing Association which has taken a dedicated pavilion to showcase individual incentive products. Similarly, the hotel sector has increased by 31 per cent. IMEX America is also differentiated by the scale and quality of its hallmark hosted buyer program. This year organisers expect well over 2,000 hosted buyers to have attended by the close of business on Thursday with significant increases in buyers from the US, Latin America, Europe and Asia in particular. Around 1,700 attendees are also set to do business and enjoy the free networking and education program at the award-winning show. Show organisers have taken on board many of the suggestions and feedback from last year resulting in a range of new and extended benefits for buyer attendees to enjoy. These include: free shuttle bus transfers; free wi-fi hotspots; invitations to supplier - buyer receptions and access to the IMEX online exhibitor appointment scheduling system.